I love pink – always have. This egg chair. That Thakoon dress. I covet pink things. It’s probably the Pinterest page I add to the most. I also follow this pink board. This one too. Some people dismiss pink as too frilly. Too soft. To me, pink is cheerful and energizing. I own pink dresses galore and used to own a pink flip phone and wear pink shoe-boots (but let’s not talk about that-it was a long time ago). 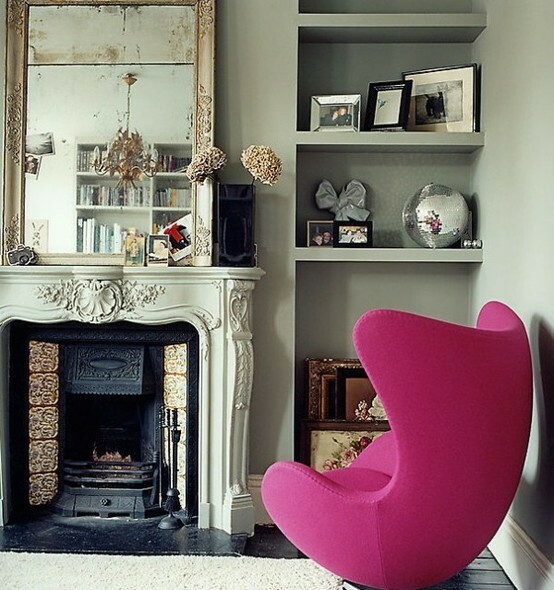 This entry was posted in Decor, Style and tagged art, egg chair, favorite color, fuchsia, hot pink, pink, signature color, thakoon on October 9, 2012 by onechicklette. Pingback: Steakhouse discrimination #mockhorror « Just one chick, okay? PINK over here, too! I also love red, but pink is my signature color for sure. I painted my nails this gorgeous hot pink color and said that if my personality had a color, that would be it. Orange all the time, every day.